Discussion in 'Off-Topic Discussion' started by sparkyscott21, Aug 26, 2014. Amazon never discloses sales figures itself, but companies like Chitika are able to estimate how many units have been sold based on information from sales channels and ad traffic from those devices. According to the company’s latest report, the Fire Phone accounted for just 0.015% of ad impressions in the 20 days following its release. With that information in mind — and combined with the latest data from ComScore, which suggests that between 175 million and 177 million smartphones are in use in the U.S. right now — The Guardian’s Charles Arthur has done some calculations to try to establish how many Fire Phones have been sold so far. “Split the difference, and it’s reasonable take 26,400 as a median value,” the report says. But Arthur gives the Fire Phone the benefit of the doubt and assumes it is “under-indexing,” which means that only a small percentage of its users are using the Chitika ad network, and therefore not all are being accounted for. The 26,400 units is increased by 25%, then, taking it to about 33,000. Another 2,000 units is added to allow for “margins of error,” taking the total to 35,000. Even 35,000 units is a pretty generous estimation, then; it’s possible that actual the actual Fire Phone sales figures paint an even more worrying picture. Whatever the case may be, it’s pretty clear that the device is struggling right now. A number of things could account for that. The fact that the device costs $200 upfront on a two-year contract — the same as the Galaxy S5 and the iPhone 5s — is one of them; its specifications are comparable. 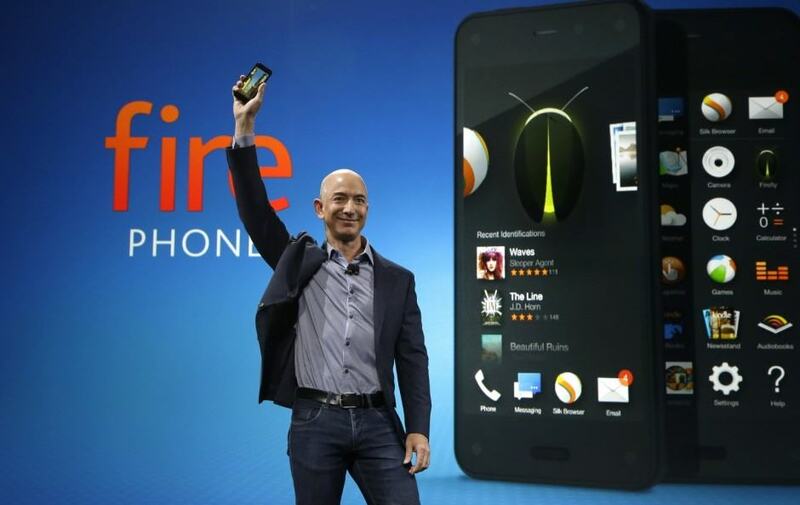 The fact that the Fire Phone does not have access to Google Play, but Amazon’s own Appstore instead, is another factor. Amazon needed to release the phone on as many carriers as possible, and they needed to make a carrier unlocked version as close to free as possible to their customers and Prime members. They didn't even bother to introduce free Prime streaming as had been rumored let alone something more drastic like create an entirely new Cell plan that would make their phone more attractive/affordable. Of course, they could still still do any of that, but they need a unique hook.They can't just be another $600 phone - but with crippled software.